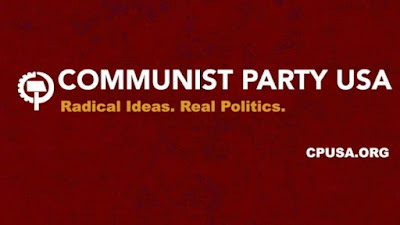 While the liberal media write about white nationalists supporting Donald J. Trump, the Communist Party (CPUSA) has been broadcasting its support for the national Democratic Party and both of its candidates. But for some reason, our media have failed to take notice. The CPUSA endorsed Barack Obama for president in 2008 and his reelection in 2012. This year, party members are involved in the presidential campaign of Senator Bernie Sanders (I-VT), but are prepared to support former Secretary of State Hillary Clinton if she is the eventual nominee. While Trump is rightly questioned about support for his campaign from such figures as David Duke, the former KKK leader, the open and admitted involvement of communists in the Democratic Party gets completely ignored by the press. The CPUSA is based on Marxist doctrine, which calls for the abolition of private property and the overthrow of global capitalism. What is called “Cultural Marxism” seeks to eliminate traditional adherence to Judeo-Christian values and silence those in favor of traditional families and those who recognize male and female differences. In foreign affairs, the CPUSA has also called for the abolition of NATO. In the current election campaign, the CPUSA is firmly on the side of the Democrats. In a story about the “Super Tuesday” presidential primaries, the party newspaper, the People’s World, announced that while the GOP was pushing “powerlessness,” both Democratic candidates were promoting “empowerment” for the people. This is Marxist jargon for integrating Marxist demands into Democratic Party policies. Although the liberal media tend to highlight differences between Senator Sanders and Mrs. Clinton, the communists say there is more that unites than divides them. The Communists dislike Trump because of his “authoritarian” tendencies and criticism of immigrants. However, while the communists claim that Trump “glorifies militarism abroad,” they have not explicitly condemned his foreign policy views, which tend to be on the isolationist side. Trump has been critical of NATO, which began as an anti-Soviet alliance, and is supportive of Russian foreign policy interests in Europe and the Middle East. More recently, communist writer Larry Rubin expressed the Communist Party view that Sanders and Clinton have to do more to keep workers from defecting to Trump. In this way, Marxists of various persuasions could take more important roles in the Clinton for president campaign. In an interview, “Why America Is Warming To Socialism,” national CPUSA chair John Bachtell mentioned the Sanders appeal and emphasized that “democracy would be at the center” of the growth of socialism in the U.S. In a separate article, Bachtell warned against Sanders following a third party option in November, and urged communists to continue working through the Democratic Party. While Mrs. Clinton is perceived as “more hawkish on foreign policy,” he said, she “is no neo-con.” The term “neo-con” is often used to disparage advocates of U.S. global engagement and military intervention. “She supports diplomatic efforts like the Iran nuclear deal and the normalization of relations with Cuba,” Bachtell said about Clinton. Even on domestic issues, Clinton is acceptable to the Marxists because she “is susceptible to pressure from below” from Marxist agitators and their organizations, he said. As suggested by its endorsements of Obama in 2008 and 2012, the CPUSA has been very pleased with the Obama administration. The communists believe that Obama, who was influenced at an early age by CPUSA figure Frank Marshall Davis, has transformed America into a socialist state through Obamacare and other initiatives, and has changed U.S. foreign policy by establishing relations with anti-American regimes in Cuba and Iran. Such a plan, of course, would invite more Russian aggression in Europe and the Middle East, and encourage Chinese Communist expansion in Asia and the Pacific. We eagerly anticipate U.S. media personalities questioning Sanders and Clinton about the support they are receiving from the CPUSA. Of course, any journalist who dares to raise the issue runs the risk of being perceived as a McCarthyite.